The Buick Centurion was short lived in the Buick lineup. The initial Centurion was sold only during 1956-1957. But, Buick would bring the Centurion back in 1971 as a replacement for the Buick Wildcat when the GM revised all thier B-Body cars in 1971. However, the Centurion wold not last to long in the Buick lineup, as 1973 would mark the end of the line for the Centurion. 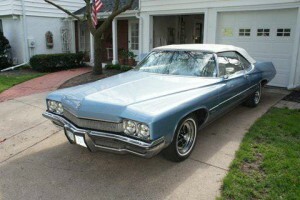 As the replacement for the Buick Wildcat, the Centurion served as Buick’s version of a sporty full-size car. The Centurion named was inspired the professional officer in the Roman Army and was to insnpire strength and power. The Centurion replaced the traditional Buick tri-shield emblem with a side profile of a centurion. 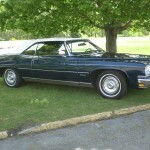 GM redesigned all B-Body platform cars in 1971 which included the Chevrolet Impala/Caprice, Pontiac Catalina/Bonneville/Grandville, Oldsmobile Delta 88 and the Buick Lesabre. In the redesign of the, the Centurion was brought back as the mid-level sports-luxury Buick. The Centurion was nearly identical to the Buick LeSabre, it differed in badging and grillework, minimal chrome trim, and the absence of the Buick tri-shield and VentiPorts. The Centurion was available as a two-door and four-door hardtops and a convertible. 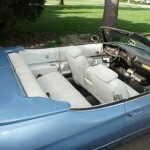 The two-door hardtop shared the semi-fastback roofline with the LeSabre and other GM B-body cars. The Centurion was offered initially with only the 455 cubic inch big-block V8 with either single or dual exhaust. 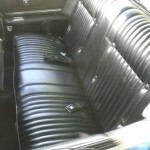 The Centurion was also offered in the 455 Stage 1 and a manual transmission configuration. 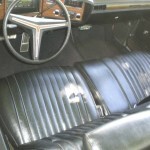 The interior trim was upgraded from LeSabres with a notchback bench seat including center armrest with more luxurious cloth-and-vinyl or all-vinyl upholstery. A the three-speed Turbo Hydra-matic transmission became standard on all Centurions in March of 1971. The Centurion received minor appearance changes in 1972 that including a revised vertical bar grille and taillight lenses. 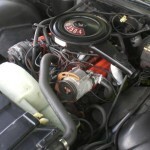 The 455 cubic-inch V8 was still available, but was rated at 250 net horsepower, which represented a decrease from the 315 gross horsepower rating in 1971. Turbo Hydra-matic transmission, variable ratio power steering and power front disc brakes became standard equipment. The 1973 Centurion received federally mandated 5 mph front bumper and new vertical grille shared with LeSabre models along with revised taillights. 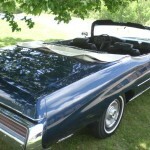 The two-door hardtop coupe no longer included a standard vinyl roof and the formal rear window was replaced by a backlight shared with LeSabre coupes. 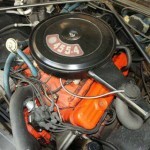 The standard engine became the 350 cubic inch V8 with a four-barrel carburetor rated at 175 net horsepower. The 455 was now optional. 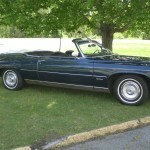 The Centurion was Buick’s only convertible in 1973. The Lesabre and Skylark/Century convertibles disappearing in 1972. This would be the final year for the Centurion. 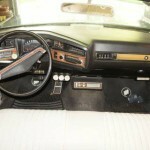 For 1974, Buick would replace the Centurion with the new LeSabre Luxus. 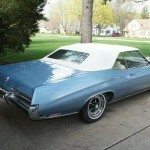 For additional information on other Buicks see our post on the 1965- 1970 Buick Wildcat or the 1969 Buick Riviera. To find your own Classic Car, see the listings in Classics for Sale. 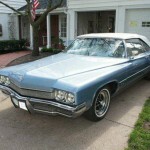 This entry was posted in Centurion and tagged 454, 88, B Body, Bonneville, Delta, Eighty Eight, Grandville, Lesabre. Bookmark the permalink.